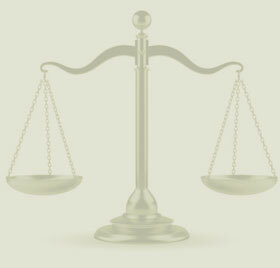 Domestic Assault Lawyer Kelowna | Jenson and Co.
Wade Jenson criminal lawyer Kelowna. Also serving Penticton, Vernon and other areas of B.C. Domestic assault, sometimes referred to as spousal assault, is a special category of assault involving persons in an intimate relationship. Being charged with any kind of criminal offence is invariably a stressful experience, but these types of charges can be especially trying given the immediate impact upon a person’s living arrangements. While most people charged will be released by the police without having to appear in court for a bail hearing, that release will typically be on an Undertaking (a legally-binding promise) to have no contact with the complainant while the matter is outstanding. In addition, the person charged will be prohibited from attending at his or her former residence except on one occasion to collect personal belongings. This one occasion will be under the supervision of a police officer and is not an opportunity to collect anything more than the bare essentials. For people who have been in a lengthy relationship, often with children, this can be a very emotional experience. Contrary to popular belief, the complainant, whether male or female, will have no ability to control whether or not charges are laid. The policy of both the police and the Crown is to lay charges where there is some evidence of an assault, regardless of the complainant’s wishes. That “evidence” may come in the form of physical evidence (eg. marks or bruising) or oral evidence (eg. statements). Or both. Like any criminal charge, the consequences of a conviction can be devastating and far-reaching. Wade Jenson is thoroughly familiar with the unique challenges presented in defending persons charged with domestic assault.